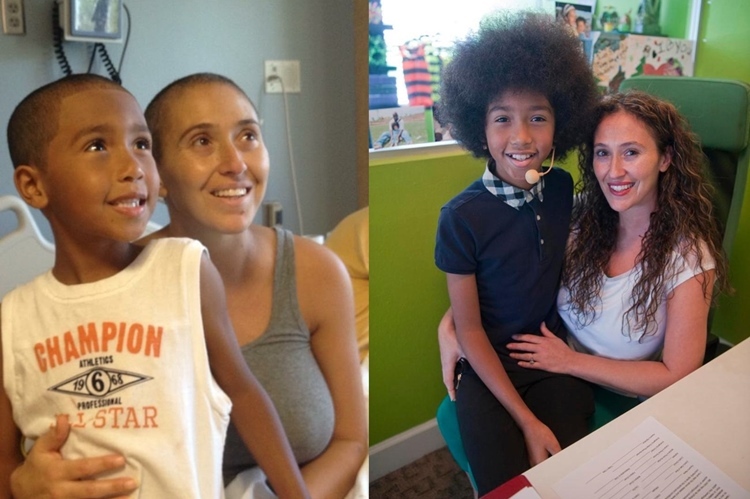 When Sahel Anvarinejad was battling cancer (non-Hodgkin's lymphoma) in 2012, her son, Tabay Atkins, watched as she bravely fought cancer and saw how her yoga practice helped her during recovery. Fast forward to 2017, Sahel is now a cancer-free yoga teacher and studio owner, and her now 11-year-old son Tabay is the youngest certified yoga instructor in the US—having completed his 200-hour yoga instructor certification course when he was 10 years old. In 2012, when Sahel lost her hair because of chemo and was having difficulties walking on her own, she still continued her yoga practice and training. This is what inspired Tabay to pursue the practice of yoga, and eventually teach—he saw how yoga helped his mother heal not just physically, but also mentally. According to an article on The Orange County Register by Fred Swegles, the then 6-year-old Tabay would sometimes go with his mom during her teacher training where he was able to quickly pick up the flow. Even his father and former NFL linebacker, Larry Atkins, has also started practicing yoga because of the positive changes he's seen not just in Tabay, but also in his own practice. After Sahel got certified in 2013, she opened Care4Yoga in San Clemente, California—her own yoga studio where Tabay would often help out during her classes. When Tabay finished fifth grade, Sahel offered him one of two options: a summer vacation in Europe or a 200-hour yoga instructor certification course in LA. Tabay chose yoga. With the knowledge and insight he's gained from tagging along during his mom's training, and assisting in her classes at their yoga studio, getting the 200-hour certification seemed to be all Tabay needed to finally teach and lead his own classes. Today, Tabay teaches donation-based classes at Care4Yoga thrice a week, and ALL the proceeds go to the Children's Hospital of Orange County, to various charities that the Atkins family chooses, and to families they know that need help in their battles against cancer.